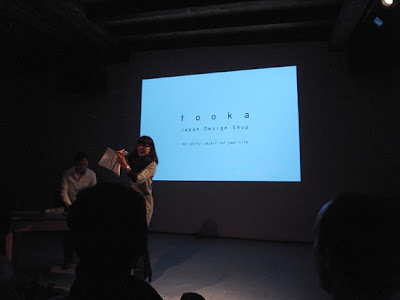 t o o k a: Thank you for visiting "t o o k a @ Pecha Kucha Night"
Thank you for visiting "t o o k a @ Pecha Kucha Night"
Thank you for visiting for our presentation at Pecha Kucha Night! It was a presure for us to introduce back ground of "t o o k a". New Products arrived for "t o o k a 04 okurimono"